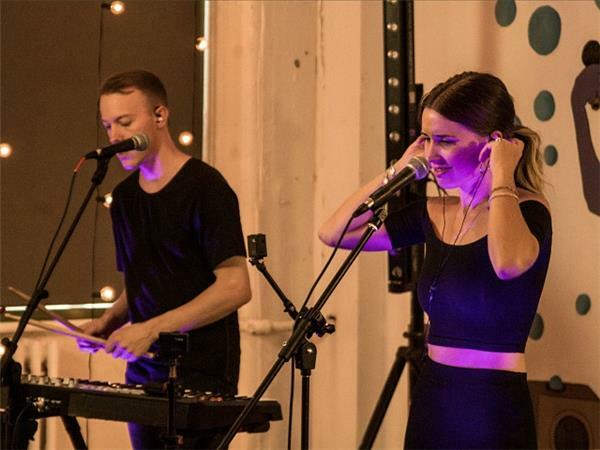 Yesterday at Baeble HQ, we were gifted with the shimmering live performance of electro-pop trio, SHAED. 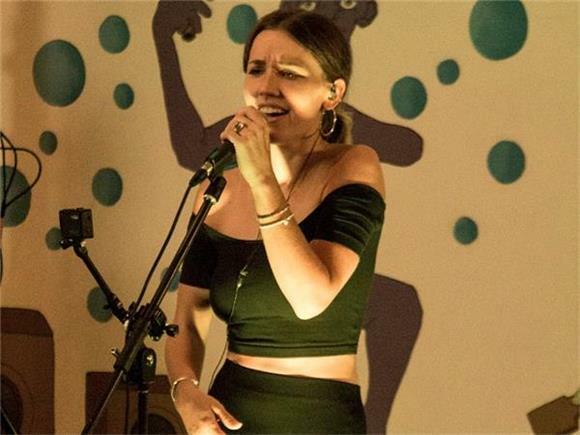 The Washington DC-based group consists of twin producers Spencer and Max Ernst and vocalist Chelsea Lee who together, work to create what they call "colorful music." They played three songs off of their newly-released debut EP Just Wanna See, which were the title track, "Perfume" (which Chelsea later told us was her favorite track), and "Thunder." Along with producing music, the twin brothers also list light design on their artistic resumes, and they proved it by bringing their very own light show to the studio. Lights coordinated perfectly with the beats and switched to every color and shade (see what I did there?) you could possibly think of. "We're visual people," the group told us when we asked them to explain colorful music... Well they sure weren't lying. But the impressive force that is SHAED does not end with the producers. The lyricist behind the music, front woman Lee, has one of the most powerful voices we've heard. When she was performing, her anthemic hooks were thunderous and then when she sat down to talk to us, she was very modest about it. The chemistry between these three is undeniable. With Spencer cracking jokes left and right, Max staying on the more quiet side, and Chelsea landing right in the middle, the group have a great dynamic that proves these friends will be around for a while. In fact, to mark the release of their debut EP, they're heading out on tour with Marian Hill and VERITE, which you can find HERE. And of course, keep your eyes peeled for their exclusive session, out in the very near future.